This post is sponsored by Pilot Pens, but opinions are all my own. 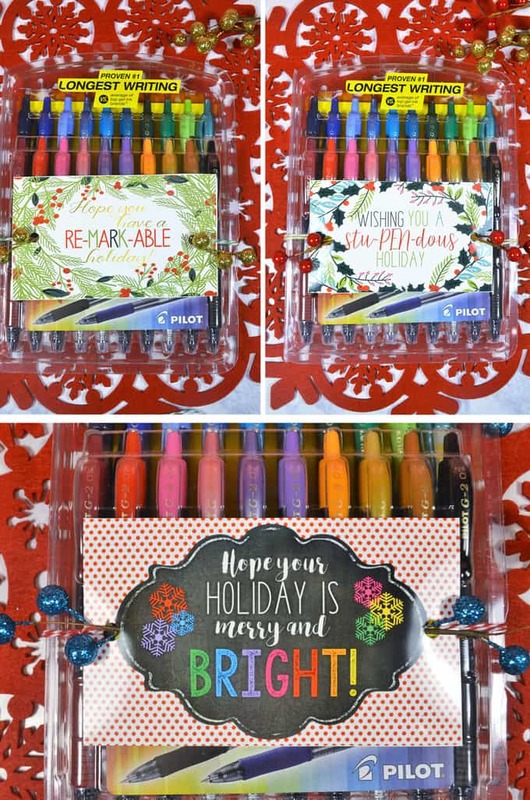 Looking for an easy and inexpensive teacher Christmas gift idea? I have you covered! Today, I’m sharing three free printable gift tags, perfect for attaching to a pack of pens, markers or Sharpies! Show your teacher how much you appreciate them with this easy gift idea! Coming up with clever, yet easy, craft and gift ideas are one of my favorite parts of being a blogger. 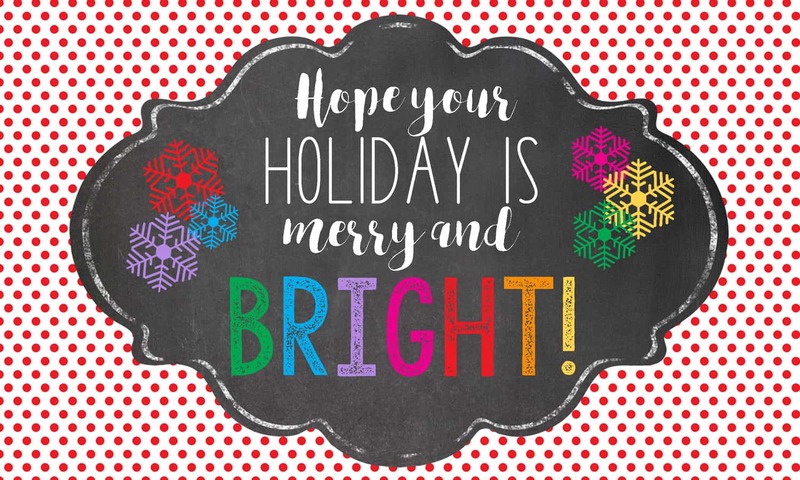 With the holidays right around the corner, I wanted to share a teacher gift idea, with free printable tags, that I think you (and your child’s teacher) will LOVE! As a former teacher myself, I know that small, yet thoughtful, gifts are always appreciated. 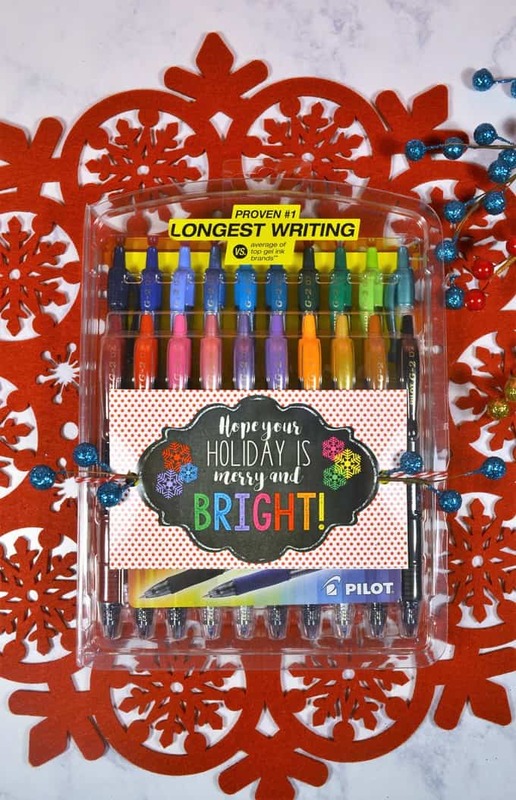 With as much writing and note-taking as teachers do throughout the day, pens that are fun and colorful always make a great gift. Pilot Pen recently created the G2 gel ink pen, which quickly became America’s #1 selling and longest lasting gel ink pen. G2 gel ink is specially formulated using pigments instead of dyes, resulting in that vibrant, beautiful color that everyone loves (I am loving the selection of blues offered, and there’s even a GOLD that is just gorgeous). 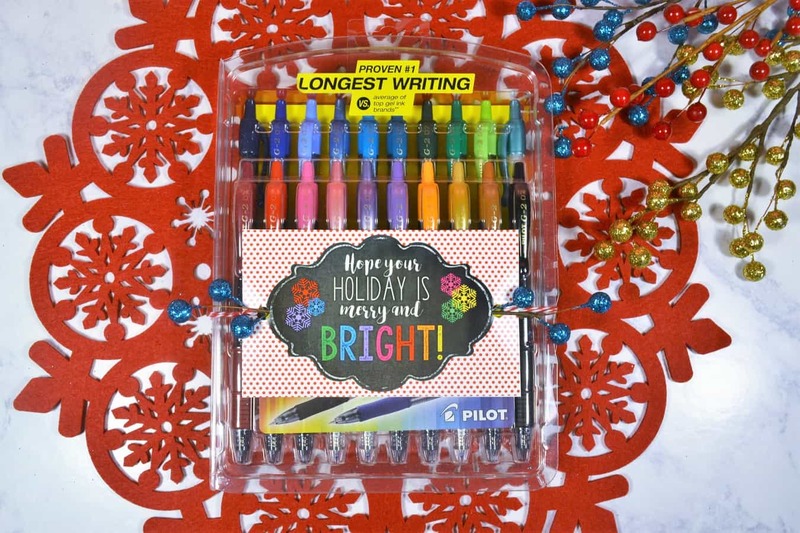 I love G2 pens as a teacher gift, but they’d also be great as a stocking stuff or holiday gift (maybe paired with a decorative journal or adult coloring book)? To make it even easier to gift G2 pens this year, I’ve created three free printable gift tags! 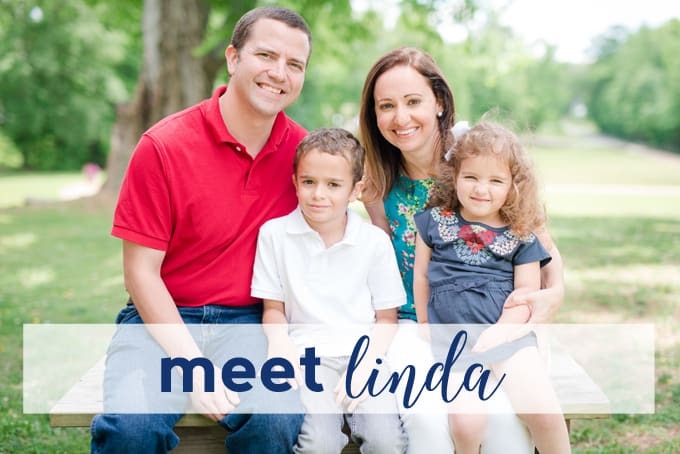 I designed them to be printed onto 4×6 paper, and you can print out at home, or send to your favorite photo printer. Tie with a length of twine or ribbon, add some decorative berries or greenery, if desired, and you’re done! Just click on the tag you’d like below to download and save to your computer! As I said earlier, I love creative gifts that are a great value, and these Pilot G2 pens fit the bill. They’re not too expensive and write longer verses the average of branded competitors. Plus, again, the COLORS! So, so fun. 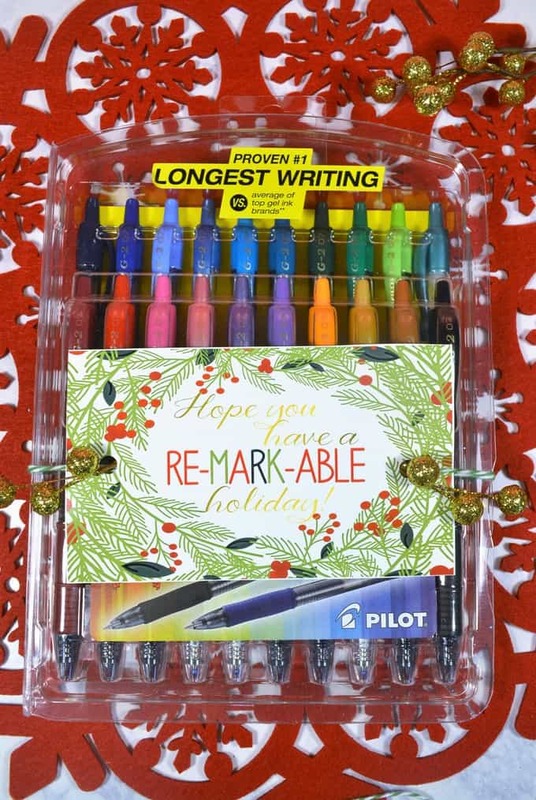 Want to try Pilot G2 for yourself? 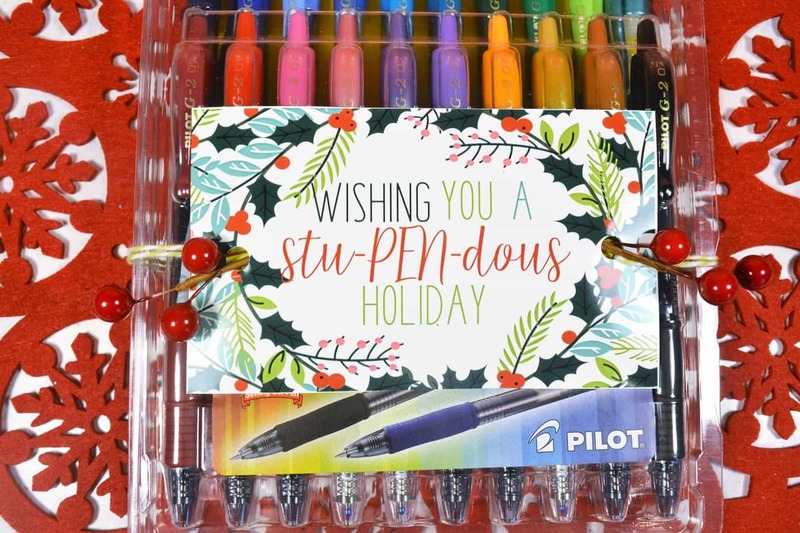 Use coupon code G2SWAY, redeemable at PilotPen.us for 20% off ALL G2 products (G2 Fashion, G2, G2 Metallics, G2 Mosaics, G2 BCA, G2 Pro, G2 Limited). Valid now through 12/31/16. Thanks for reading all about my teacher Christmas gift idea + free printable gift tags. Have a crafty day! 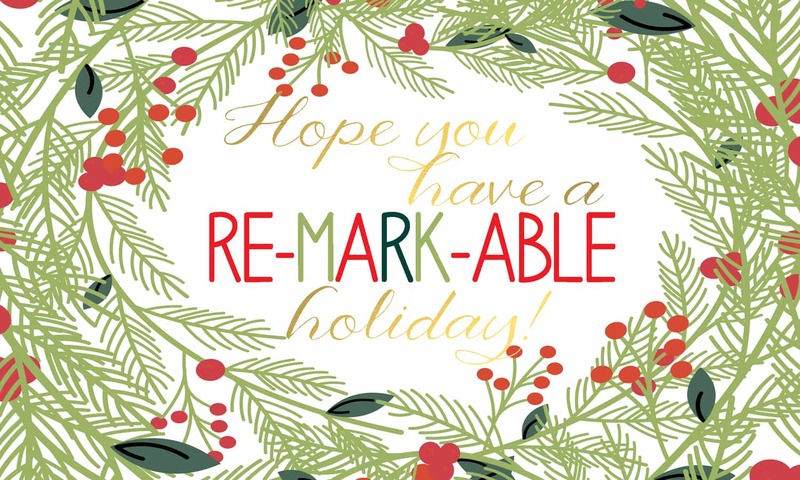 These printables are aDORable and I’d love to receive this gift in my stocking! Love the play on words! 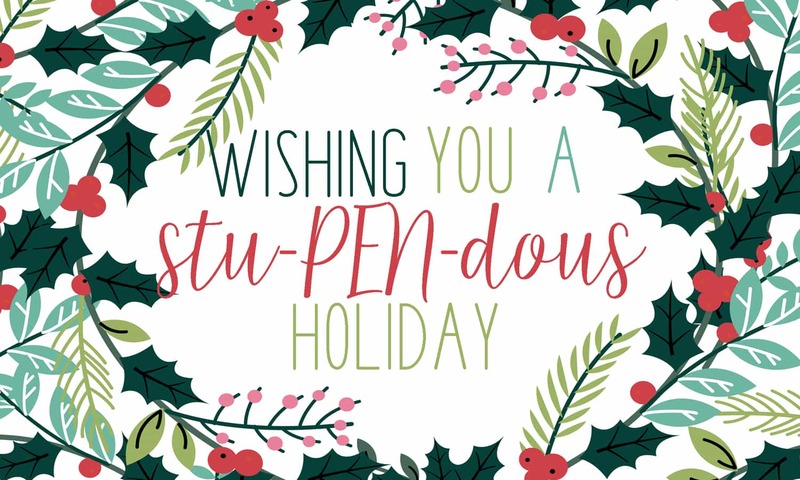 I love these printables and pens!!! Can’t wait to print these out. Thank you for the free printables. They are lovely! I can wait to try the pens. And your printables are perfect!